The Lev Shestov Studies Society, University of Glasgow (http://www.shestov.arts.gla.ac.uk/index.htm). 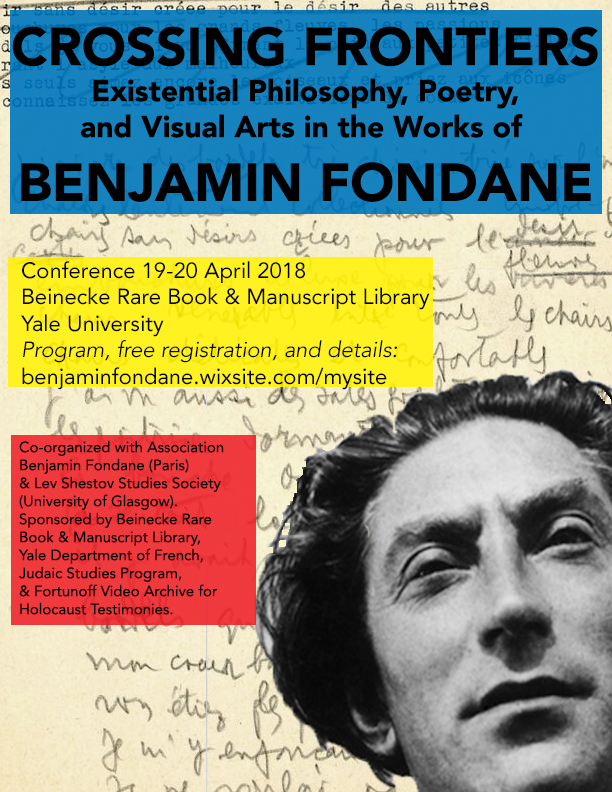 Information TBA about an exhibition devoted to Benjamin Fondane curated by the Beinecke Rare Book and Manuscript Library, as well as a screening of testimonies organized by the Fortunoff Video Archive for Holocaust Testimonies. This conference is sponsored by the Beinecke Rare Book & Manuscript Library, the Yale University French Department, the Yale University Judaic Studies Program, and the Fortunoff Video Archive for Holocaust Testimonies.